Great news! 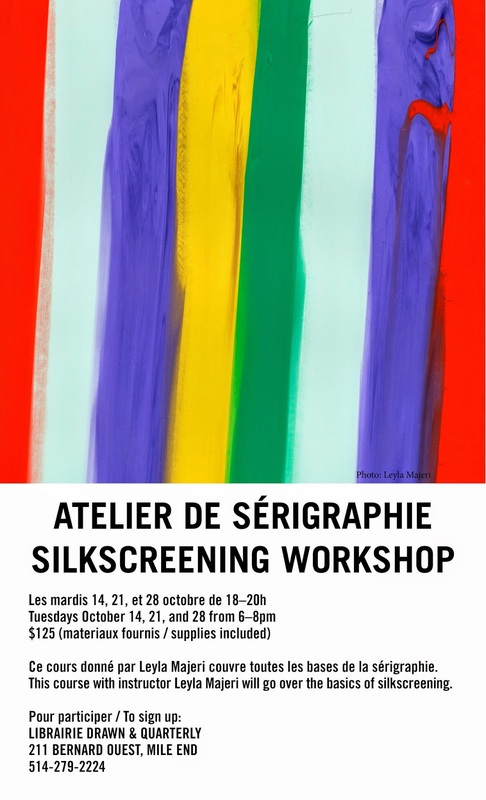 Montreal artist Leyla Majeri will be back at the store in October to give a 3-night silkscreening course! Get in touch with us to reserve your spot!